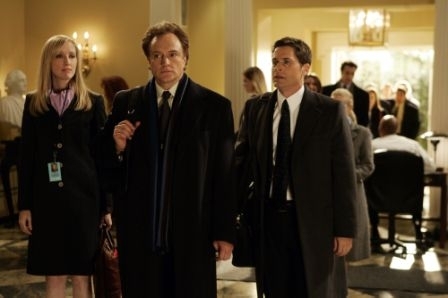 The West Wing was a fantasy about an idealized White House. A common scene on the show portrayed officials walking thorough the halls exchanging ideas. While real life White House employees might not hold the types of discussions seen in Aaron Sorkin characters, communication nevertheless is important. In today’s world email and instant messages often replace spoken conservation. Such discussion in the White House will be limited by the Presidential Records Act, which was written in 1978 before we even had such forms of communication. The Politco reports that Obama will be able to keep his BlackBerry but David Axelrod is losing the use of instant messaging which has kept him in touch with both the campaign and the press. From Axelrod, the chief campaign strategist, down to junior staffers in the press office, Obama’s campaign relied heavily on software many of them began using in high school — AOL Instant Messager and Google Chat. Instant messaging, though little mentioned, is — perhaps as much as e-mail—deeply woven into contemporary politics and media, whose fabric is the constant, quick, gossipy transmission of spin and information. But a calculus that’s perhaps one part security, one part law, and two parts politics, has long barred instant messaging from the White House. “They just told us flat out we couldn’t IM in the White House,” groused one senior staffer Friday. Many veterans of the Bush White House — who have been accused of channeling compromising political conversations to outside e-mail accounts, which they deny — say they’ve found it intensely frustrating. “Did you all think the White House just didn’t know that Facebook and Twitter existed?” asked Almacy, blaming the lawyers for the archaic feel of White House web operations. A current Bush aide said the law didn’t contemplate the shift of hallway conversations to instant message and e-mail. Regardless of what we might want, the policy is based upon laws written before the present technology existed. It is desirable to have White House communications available for later review, but there is also value to limiting the bubble which top White House officials live in. Considering Barack Obama’s propensity to listen to a wide variety of views I would hate to see his ability to communicate hampered by well-intentioned laws from a past era. Perhaps after consideration of modern technology we would intentionally decide to maintain the status quo. We might also opt for other possibilties, such as treating IM as communication which is not preserved or the other extreme of using key stroke logging programs to maintian every word, with West Wing staffers cautioned about the need to think carefully about what they say by IM.